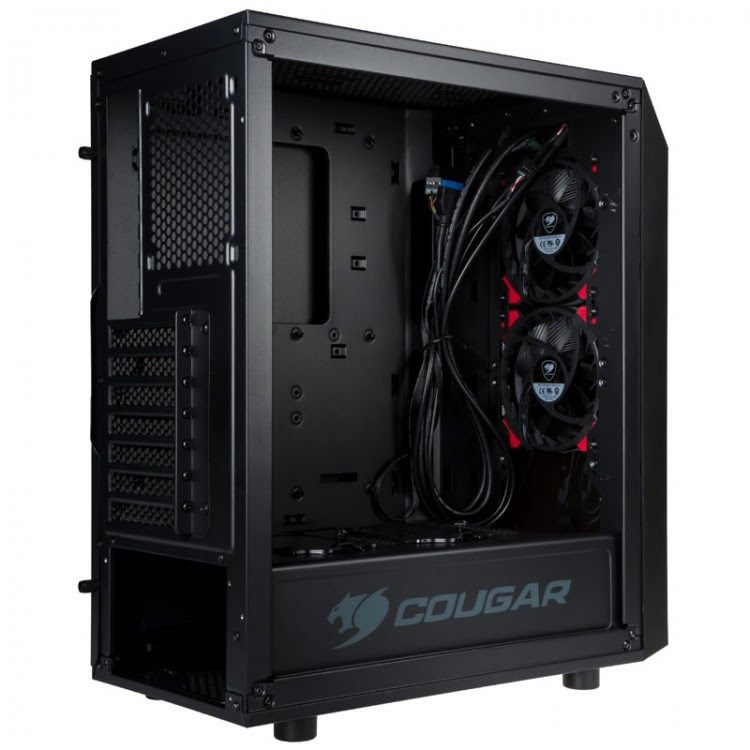 Cougar has launched their latest addition to their case range starting with their new flagship Panzer Evo RGB Full sized tower case. It supports up to E-ATX form factor, comes pre-stalled with four of the new Vortex RGB fans and room for a massive four GPUS! Also launching today is the Turret midi-tower case, a great value tempered glass case with a compact design and two pre-installed Vortez LED fans. The Cougar Panzer EVO RGB is a full tower gaming case that’s built to accommodate even the most extreme builds. It can support Mini ITX through to full-size E-ATX motherboards and has four double-length graphics card slots. (390mm max length). 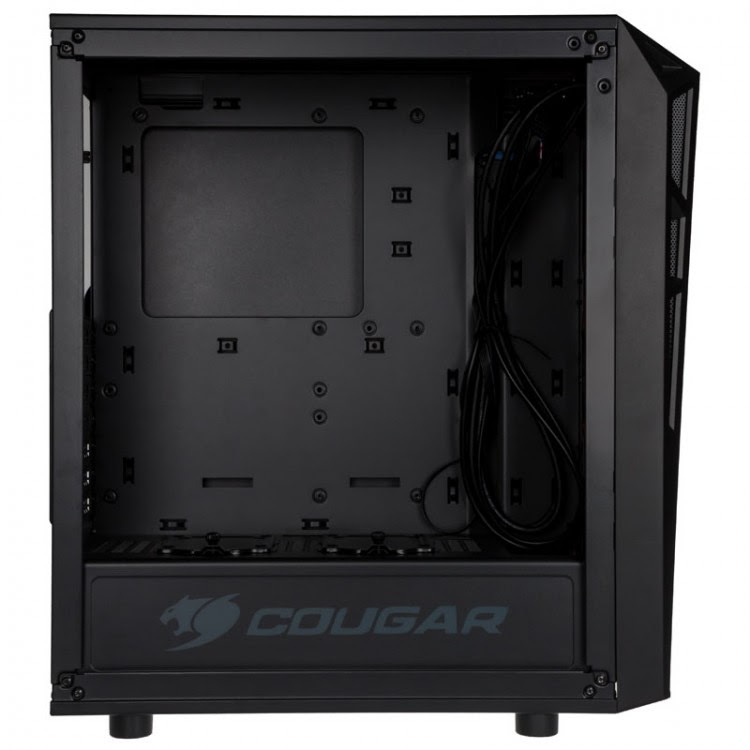 The Cougar Turret has an attractive angular form, it is a compact Mid-Tower that is ideal for customers looking for a good value and high-quality case. It has two tempered glass panels. The first is a side panel, which lets you show off your computer’s hardware. 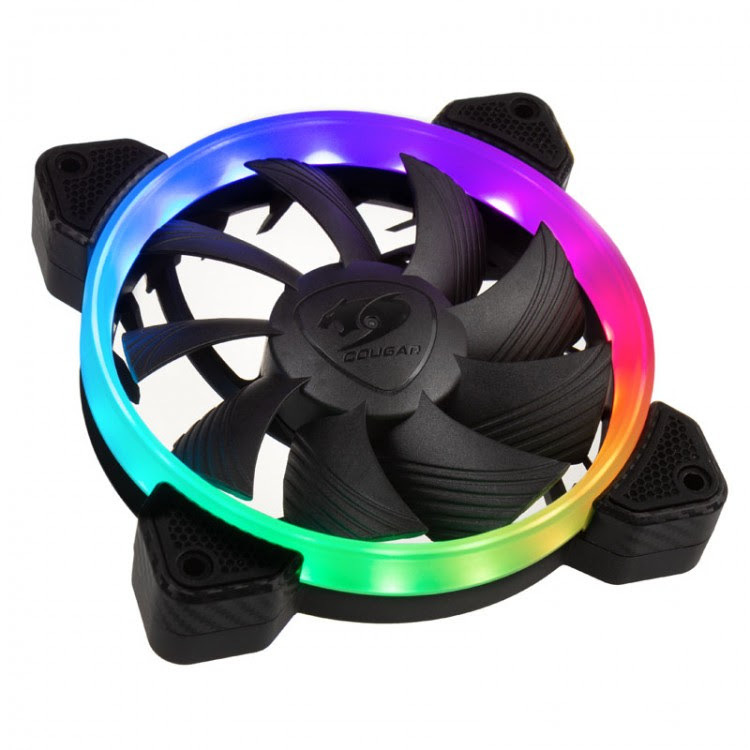 While the second on the front of the case creates an eye-catching glowing lighting effect when the two pre-installed Vortex LED fans are illuminated. Aesthetics aside the Cougar Turret is a practical case, it can hold motherboards with form factors from Mini ITX to ATX and up to three 350mm GPUs. The case also has enough space to store two 3.5″ drives or a maximum of four 2.5″ drives and comes an I/O that contains 2 x USB 3.0 ports, 1 x USB 2.0 and mic/audio support as standard. Cougar has made cooling a priority. They have developed a “gaming vent system”, which is an air inlet slightly offset from the case’s front panel. This ensures effective airflow to components within the case and is covered with a solid plastic mesh that protects the inlet from dust. The Cougar turret comes with two pre-installed Vortex LED fans and support for an additional four. Alternatively, if you prefer water cooling, the Cougar Turret supports up to three radiators including a 360mm front mounted radiator, a 240mm top mount and finally a 120mm rear mount. The patented Vortex fan blade design reduces turbulence, which in turn reduces noise while maintaining performance. Due to the inclusion of hydraulic bearings, the fan runs quiet and is extremely durable. The Cougar Vortex comes in two variants, a fully addressable RGB LED version and three LED fans available in red, white or blue. Colour cycling is only possible with this model when connected to the Cougar Core Box.